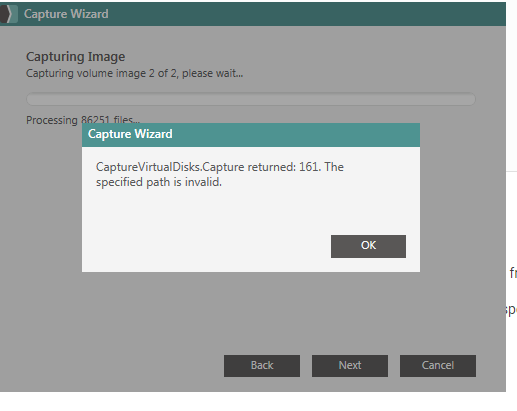 Error 161 when trying to capture a windows 10 virtual disk image. Have had no problems in the past. If the virtual reference machine has any anti-virus installed on it, uninstall it and attempt to recapture. If that's not the case, then submit a support ticket here.